Despite the anonymous nature of the Internet, users have always liked the freedom of being themselves without being discovered. Think of the early 1990s where we used to use IRC channels to chat anonymously. Inspired by both the ethos of these early web communities and the capabilities of modern smartphones, today we’re announcing Rooms, the latest app from Facebook Creative Labs. 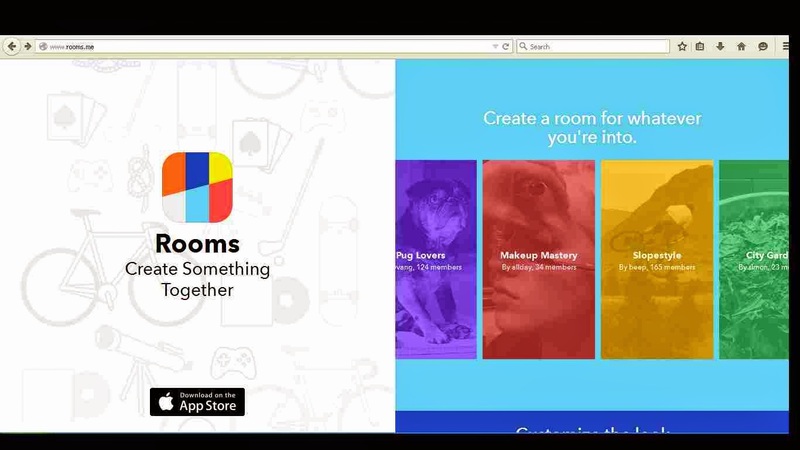 Rooms lets you create places for the things you’re into, and invite others who are into them too. A room is a feed of photos, videos, and text – not too different from the one you have on Instagram or Facebook - with a topic determined by whoever created the room. Early users have already created rooms for everything from beat boxing videos to parkour to photos of home- cooked meals. Not only are rooms dedicated to whatever you want, room creators can also control almost everything else about them. Rooms is designed to be a flexible, creative tool. You can change the text and emoji on your like button, add a cover photo and dominant colors, create custom “pinned” messages, customize member permissions, and even set whether or not people can link to your content on the web. You can even create different identities for different contexts. Rooms follows the age-old concept of a message board — a place to build your own identity and converse with people with mutual interests on the mobile. The only way to join a room is if you have been invited to one. To invite someone to your room, tap 'invite' which will generate a QR code image. Now send the image to the person you want to invite. Once the person opens the image, he is added to the room successfully.